Since its formation in 1991, the dynamic presence of MERCOSUR has brought about far-reaching changes to the business and legal environment of South America. Given the significance of these changes for lawyers around the world, the British Institute of International and Comparative Law has published the first comprehensive collection of MERCOSUR legal documents in English. 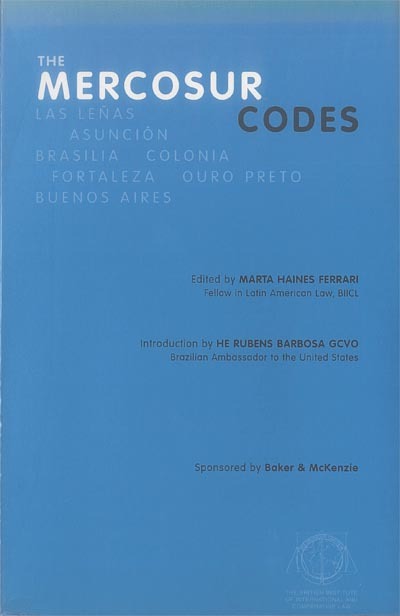 The volume includes a discussion of the historical and economic background to MERCOSUR and an analysis of its future prospects, as well as a discussion of the legal framework. The treaties and other instruments have been translated from the original Spanish and Portuguese versions.